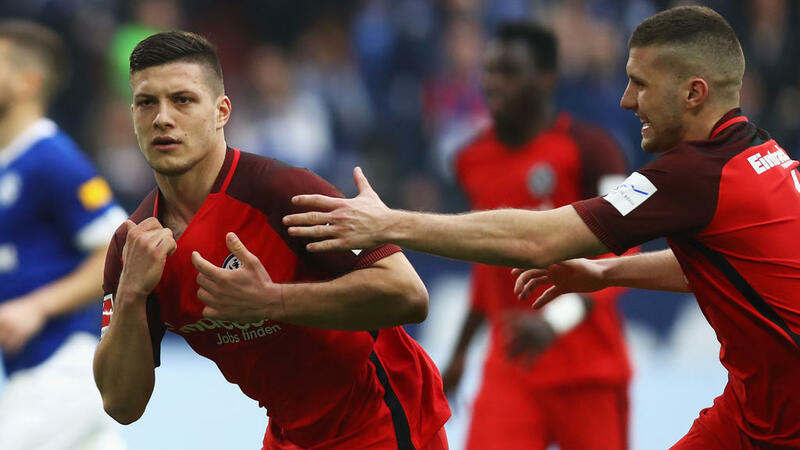 The father of Eintracht Frankfurt star striker Luka Jovic has told German newspaper Bild that his son will snub Barcelona and stay at the Bundesliga club next season. Serbian striker Jovic, 21, has been linked with several of Europe's top clubs after a breakthrough season in which he has scored 24 goals and fired Frankfurt into the last eight of the Europa League. Ahead of Frankfurt's quarter-final first leg with Benfica on Thursday, Jovic's father said that, while Spanish giants Barcelona have made an approach, his son is more likely to stay at Frankfurt next season. "Luka has had requests, including one from Barcelona, but is not interested," Milan Jovic told Bild on Thursday. "He doesn't know if he can play football there -- he wants to get to the Champions League with Eintracht and stay there." "He came to me a few days ago and said 'Dad, it's not about the money, I want to play football'." "He is very close friends with the other young players in the team." Frankfurt are currently on course for a top four finish in the Bundesliga, which would see them qualify for the Champions League next season. Jovic himself has said that he would be open to staying at Frankfurt if the team make it into Europe's top competition. "I would like to play here next season. If we get to the Champions League, they will find it hard to get rid of me," he told Bild earlier this season. Though Jovic is technically on loan from Benfica, Frankfurt confirmed in March that they have the option to buy him this sumer for "less than seven million euros" ($7.9m). With clubs such as Barcelona reportedly prepared to pay much more, Frankfurt hope either to hold on to their star striker or sell him on at a substantial profit. Yet Jovic's father told Bild that his son has always been grounded and turned down offers from Borussia Dortmund, Schalke and Arsenal as a boy.